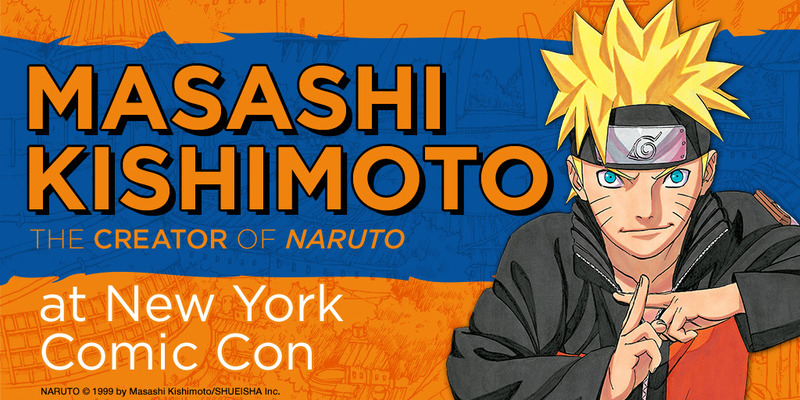 The Japan Foundation, New York is co-presenting two Panels with New York Comic Con and VIZ Media at New York Comic Con this year and welcomes Masashi Kishimoto to New York. The creator of the global phenomenon known as Naruto makes his first appearance outside Japan! The legendary Kishimoto Sensei will discuss his career and creative process and answer questions about his work. Fans will also have a chance to win some very special prizes. Saturday Oct 10, 11:30 AM – 2:00 PM Hammerstein Ballroom – 311 W 34th St.
Masashi Kishimoto, creator of Naruto, makes his Executive Producer debut and will introduce the North American English-subtitled premiere of the most anticipated Naruto movie yet! Naruto Uzumaki protects the Hidden Leaf Village as the 7th Hokage, while Boruto, his troublesome son resents his father’s responsibilities that take his time away from him. Seeing this, Sasuke takes Boruto under his wing, while Sasuke’s only daughter, Sarada, dreams of being Hokage one day.